Dental implants are a common procedure to permanently replace missing teeth without affecting neighboring teeth. With the help of dental implants, we can create beautiful new teeth to give back full chewing and speaking abilities while restoring your natural smile. This tooth replacement option gives you a result the closest to a natural tooth, providing optimal strength and function. Dental implants are “root” devices that are placed within the jaw bone to support an artificial replacement tooth. 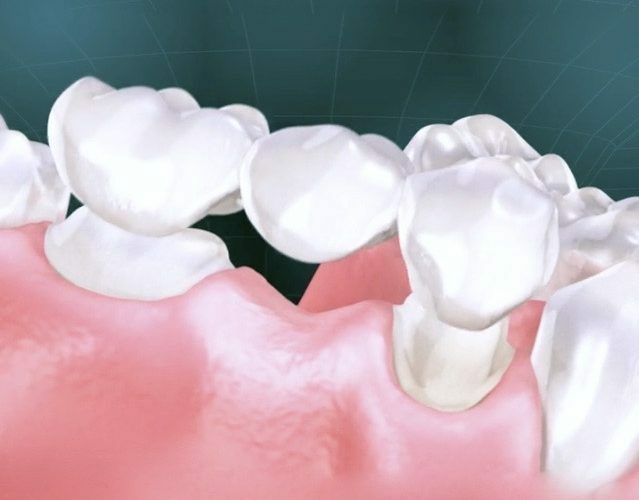 Additionally, dental implants may may be used to stablize a group of replacement teeth, called a bridge. Dental implants are an ideal option for you if you have good general oral health and have lost a tooth or teeth due to periodontal disease, an injury, or some other reason. While high-tech in nature, dental implants are actually tooth-saving, since implants preserve the natural position and function of your neighboring teeth. Dental implants are so natural-looking and feeling, you may forget you even have one! We all know our confidence about our smile affects how we feel about ourselves, both personally and professionally. Implants allow you to completely remove problem teeth and replace them with perfectly functioning and beautiful new teeth. Dr. Semidey will do a comprehensive examination. During the exam, he will review your medical and dental history, take X-rays, and create impressions of your teeth and gums so that models can be made. In some cases, Dr. Semidey may also order a computed tomography (CT) scan of your mouth. This scan will help determine how much of the jawbone is available to hold implants in place. It also will reveal the location of anatomical landmarks such as nerves and sinuses. 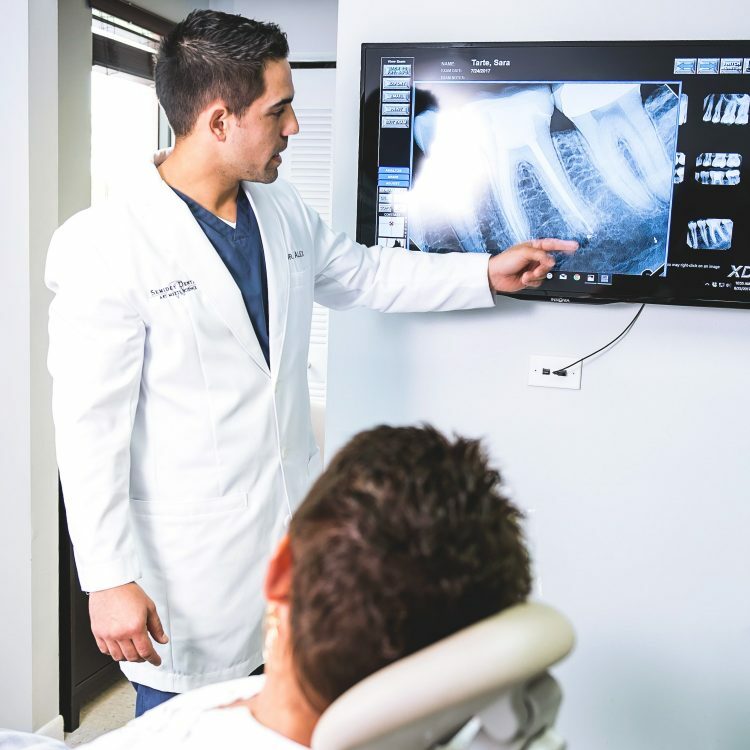 If the X-rays show that your jaw does not have enough bone to hold an implant, Dr. Semidey will discuss options for building up the bone prior to beginning the implant process. The time frame for completing a dental implant and crown depends on several factors. 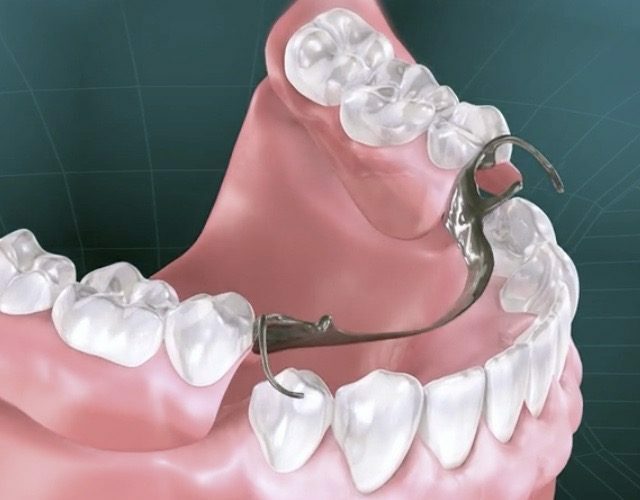 When the traditional method of placing an implant is used, the shortest time frame for a complete implant is typically about five months in the lower jaw and six months in the upper jaw. This includes surgeries and placing the permanent crown. However, the process can last a year or more, particularly if bone needs to be built up first. In a more expedited method, implants and healing caps are placed at the same time. If Dr. Semidey is using mini implants, he will place them as well as the crown, bridge or denture at the same visit. Two dental procedures are typically required at 3-6 month intervals apart. During the first procedure, a small hole is drilled in the bone. The implant is placed into this preparation made within the bone. Following healing, a second procedure takes place in which a new incision is made to expose the implant. A collar, called a healing cap, is then screwed onto the top of the implant. After a few weeks, the healing cap is removed and the permanent tooth is screwed into the implant. This method is now used for certain implants in special cases. 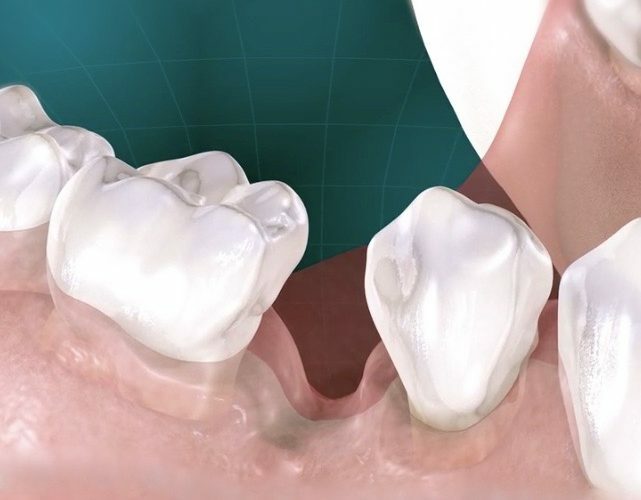 In this procedure, Dr. Semidey can place the implants, abutments and a temporary crown or bridge all in one visit.